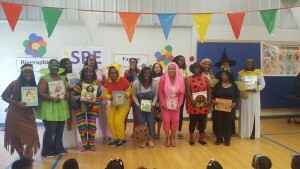 Shadow Rock Elementary faculty bring book characters to life! Editor’s note: This story was submitted by the Shadow Rock Elementary School team. 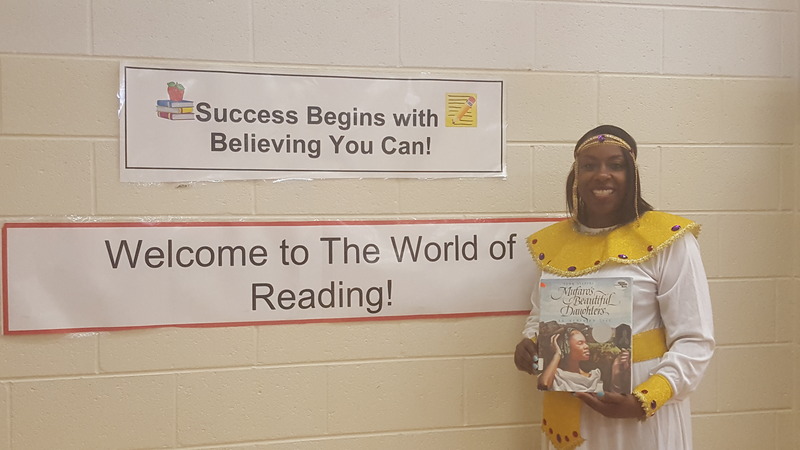 The faculty at Shadow Rock Elementary went beyond the bounds of the academic setting on September 29 with their production of a reading assembly where book characters came to life. 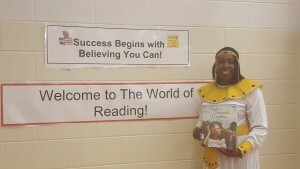 It was a day students will long remember because their teachers and administrators dressed in silly, outlandish and ridiculous costumes, all in the goal of promoting reading and achievement. As teachers and administrators entered the threshold of the school gym, a crowd of eager enthusiastic elementary students awaited the reveal of the book characters. Many students were elated with glee as they realized the identity of the book characters standing at the door. The outbursts, the noise, the excitement was phenomenal. As Winnie the Pooh, the Book Fairy, Arthur and many more paraded across the gym floor, hysterical students found it difficult to contain their emotions. Many screamed and called out to the passing book characters as if they were rock stars at a concert. When the last character reached the entrance, many students just could not compose themselves because this character was not supposed to be dressed in a costume; it was Principal Viva Jones! As the assembly continued, the purpose, goals and expectations were stated by the school teacher-librarian; making it known that reading is essential to succeeding in school. As the assembly drew to a close, Principal Jones challenged the students to read more books and succeed in life.